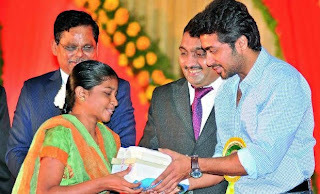 More than 2,500 students received books for various undergraduate courses this year as a part of the the golden jubilee annual book bank function of Rajasthan Youth Association (RYA) at Kamaraj Memorial Hall on Sunday. RYA president Prem Bethala highlighted the various welfare schemes undertaken by the association. “It’s our vision at RYA that no student should be deprived of education for want of textbooks,” said Naresh Khivsara, book bank chairman. 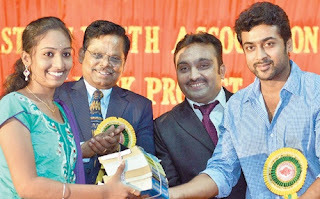 Actor Surya distributed a few sets of books to the students and said students were living in time of wonderful developments all around and they should make the best use of it. Making the occasion even more special, post master general Merwin Alexander released a special postal cover to commemorate the golden jubilee year of RYA book bank. The event was held on the eve of the birth anniversray of former Tamil Nadu chief minister K. Kamaraj, known for his service to education.